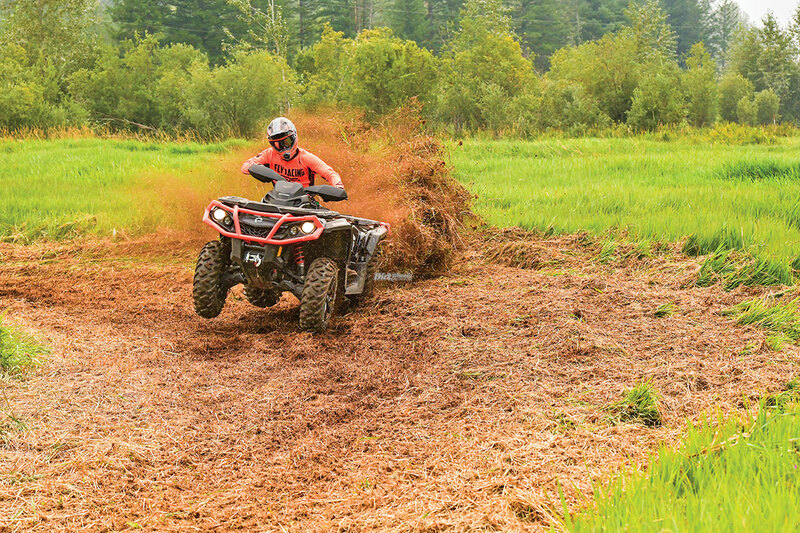 The fun never stops in the world of four-wheeling! 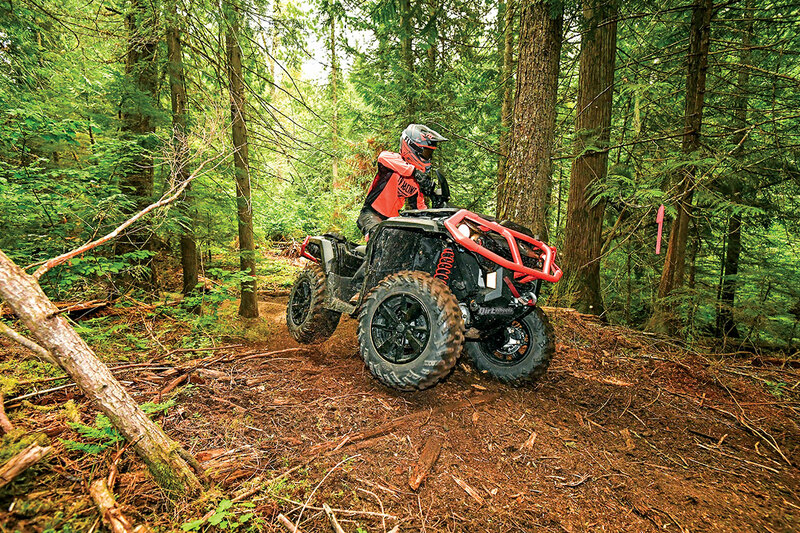 Can-Am makes some of the best 4×4 quads around, and you can find models outfitted with extra upgrades in the lineup. 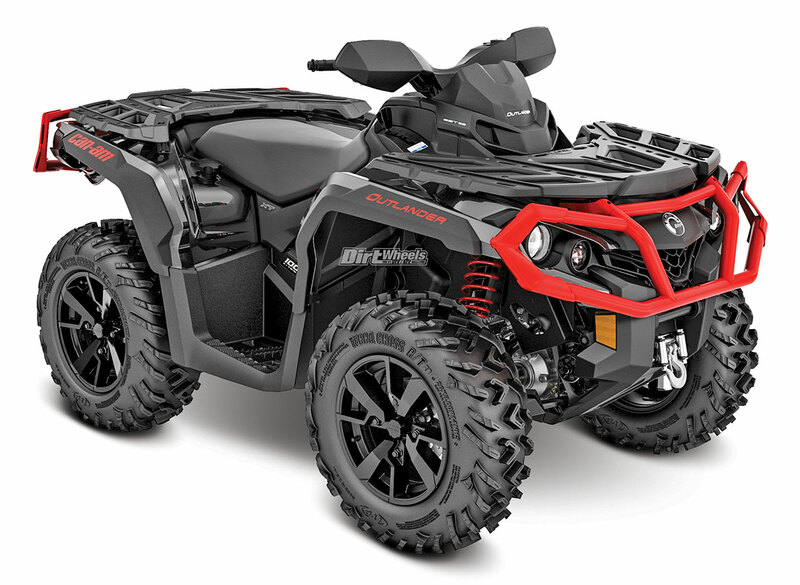 The Outlander XT is one of those models, and we got our hands on the 2019 1000R version in a black and Can-Am Red color scheme! We were fortunate to test the Outlander in a lush and thick Canadian forest setting to find out the Outlander’s strengths and weaknesses. 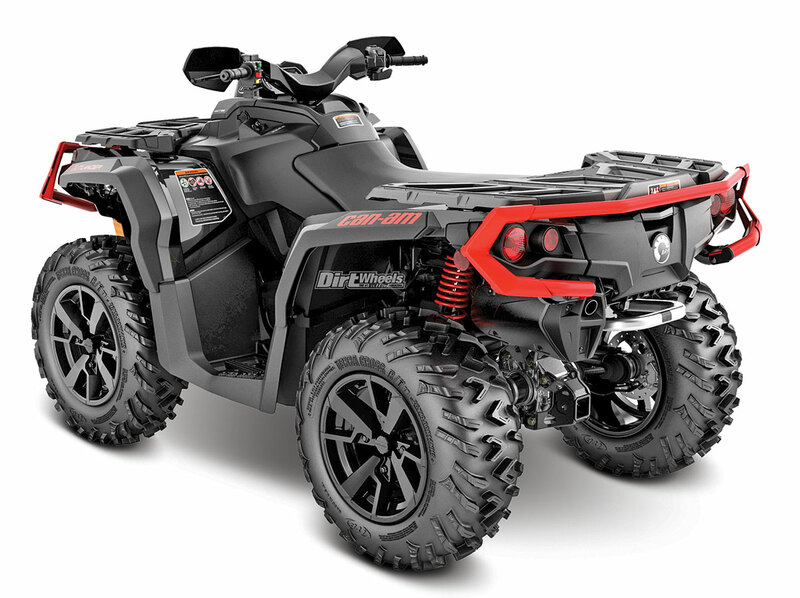 Can-Am Outlanders come in a spectrum of different engine sizes. The frame of the Outlander can be fitted with a 1000R, 850 or 650 powerplant. Some of our editors prefer having too much power, and the class-leading 91-horsepower 1000R version is what we settled with. A Rotax 976cc V-twin, liquid-cooled engine is outfitted with Can-Am’s, new-for-2019, electronic fuel injection Intelligent Throttle Control (iTC) system. The iTC is a throttle-by-wire setup, so the throttle response is more crisp and precise. In addition, iTC allowed Can-Am to install a fuel-injection mapping system that can be changed between three different modes on-the-fly. The throttle housing holds a switch that lets you change between Work, Standard and Sport modes. A continuously variable transmission forwards the engine’s ponies to all four wheels through the shaft drive. The automatic transmission has high and low forward gears, neutral, reverse and park. The front and rear differentials remain locked at all times, but the front can be controlled electronically through the Outlander’s computer. Can-Am’s Visco-Lok front differential locks when the system senses wheel slippage. The shocks on the XT are spring preload adjustable. We would have liked them to have been upgraded. 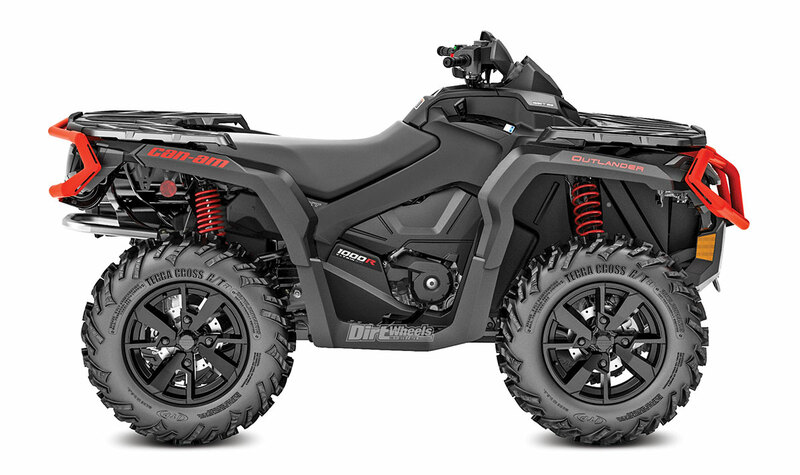 Our favorite 2019 Can-Am Outlander upgrades are the suspension improvements. The front and rear are still independent and still utilize a dual-A-arm design up front with a torsional trailing arm setup in the rear. The difference from last year’s model is that the track width, wheel travel and front ground clearance have all changed. The front travel number is now 9.2 inches, while the rear is at a healthy 9.9 inches of travel. Can-Am widened this Outlander by an inch on each side. The front lower A-arms are arched to provide over an inch more clearance. Suspension improvements continue with a redesigned rear sway bar and the addition of a front sway bar. The rear sway bar now has a bit more flex, so the Outlander can gain more traction and a smoother ride. A front sway bar works with the additional width to let the Can-Am have a more stable feeling. 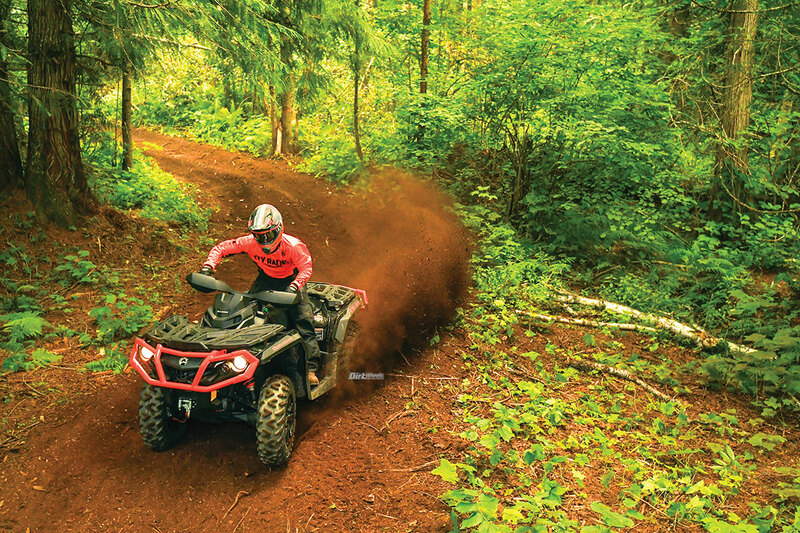 The Outlander 1000R has a ton of power in Sport mode and strong low-end grunt. The throttle response is crisp. 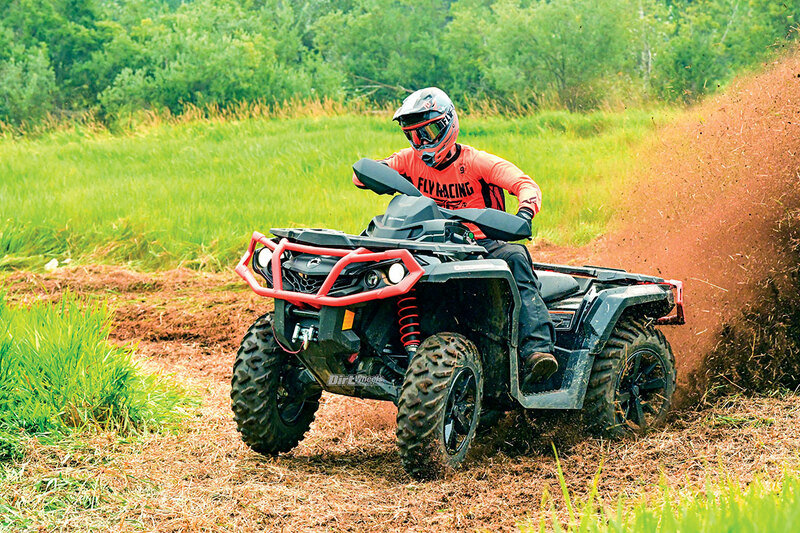 Finding an ATV that has the right options and comforts for your personal riding style can be a task. Fortunately, the Outlander line is quite versatile for either play or work. This rig comes standard with a 5.7-gallon, water-resistant storage bin in the rear. It does rest right next to the exhaust, so don’t expect to keep many items cold. Above the rear storage rests a 200-pound-capacity cargo rack that utilizes Can-Am’s patented LinQ attachment points for their accessories. There is also a 100-pound capacity front cargo rack that allows you to use many different tie-down methods to secure gear. The 1000R version of this Outlander XT comes with the iTC that makes towing a breeze. Switch the machine into work mode, and you can tow with smooth engine response and clutch operation. The towing capacity is at a healthy 1,650 pounds. 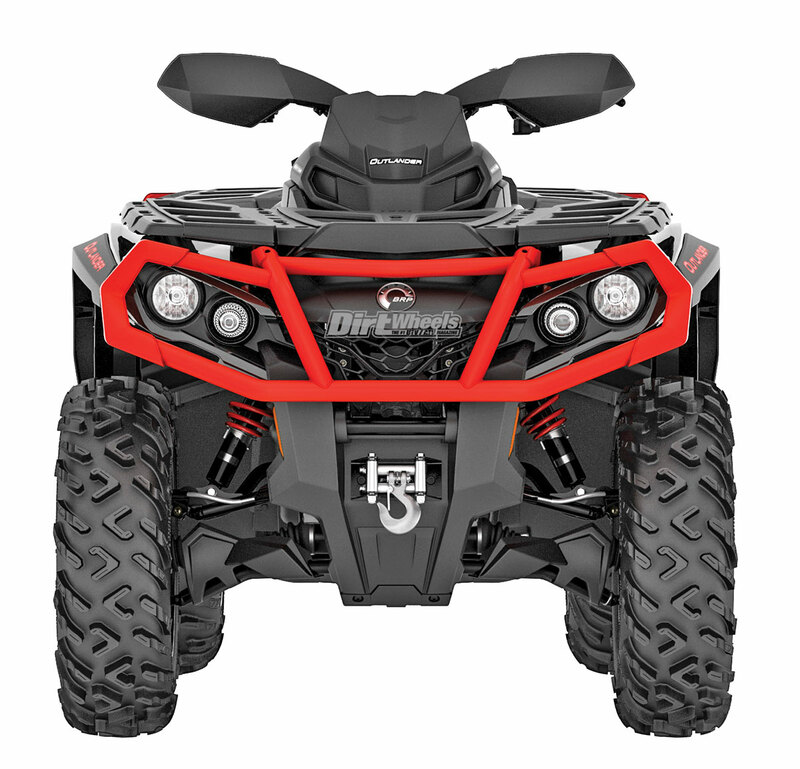 Another great feature for this machine is Can-Am’s Dynamic Power Steering that comes standard. The DPS has three settings that you can adjust on the fly depending on the terrain you are riding. Can-Am’s XT package involves quite a few welcome additions. The heavy-duty front and rear bumpers were upgraded with welded-on metal end caps rather than plastic ones. The handlebar is fitted with handguards/wind deflectors that cover the front of the grips and levers. Warn provides a 3000-pound winch with a roller fairlead for the XT edition of the Outlander. Finally, a set of 26-inch-tall ITP six-ply-rated tires are wrapped around 14-inch cast aluminum wheels. This setup provides a more aggressive tire to gain more traction compared to the Carlisle tires that the base Outlander models come with. There is a 5.7-gallon-capacity rear storage bin that has a water-resistant seal. It rests next to the exhaust, so it does get warm inside. Can-Am designed the Outlander to have a roomy cockpit. The machine is a little wide at the tank and the feet areas. The Outlander 1000R gained a two-horsepower increase from 2018, and, honestly, it didn’t need it. Power is already explosive and the brakes sometimes struggle to slow the hefty machine down from the speeds it so easily generates. Fortunately, you can change the power modes. Work mode is timid yet still has usable power that tops out early. Standard mode provides soft low-rpm response with a more bountiful top-end power curve. Sport mode throws down a heavy hit from the low end and keeps pulling with might all the way to whatever top speed we could reach in the tight, wooded terrain. 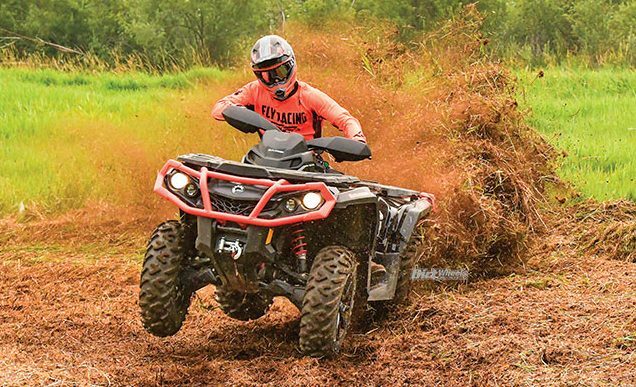 The 2019 Outlander XT model comes with a 3000-pound-capacity Warn winch, along with brush guards on the handlebar. Braking is provided by ventilated twin-piston hydraulic disc brakes up front with a single disc in the rear. The lever on the left handlebar controls the front and rear brakes simultaneously, while the right-side, foot-operated pedal controls the rear brake only. The lever feel on the handlebar is stiff without enough braking feel transferred through it. These brakes will stop the machine with ease in most situations, but the 826-pound weight of the Outlander XT 1000R requires a bit more stopping room on occasion. A wider footprint and an all-new front sway bar offered up a smooth and more stable ride than previous years. Suspension feel is the biggest difference made in 2019. The wider stance and sway bar upgrades provide a supple and more controlled ride than before. Turning the Outlander feels more stable and is less likely to lift the inner wheels. The only downside to the changes is that the Outlander isn’t quite as nimble in tight terrain. That means you need to adjust how you turn to compensate, and our test riders were able to easily do so. The DPS lets you easily saw the bars back and forth in sharp turns while keeping the wheels pointed in the right direction at high speeds. The only other improvement we wished the XT had was a better set of shocks. The shocks allow the machine to feel a bit wallowy through the stroke. The Outlander XT-P edition comes with Fox shocks, and those would have been a welcomed upgrade for more sporty styles of riding. The cockpit of the Can-Am is roomy, and it fits small and large riders alike. Handlebar position is comfortable in relation to the footpegs. The gas tank is a bit wide at the knee area, and it is wide at the feet as well. Shorter riders may not enjoy the seat height, but most all of our testers could easily pilot the Outlander. This Outlander comes stock with 14-inch cast aluminum wheels with 26-inch tires wrapped around them. www.can-am.brp.com to check out their full range of ATVs and UTVs, or go to your nearest Can-Am dealer! The front and rear bumpers of the XT model have welded-on metal end caps. Last year’s model came with plastic end caps.